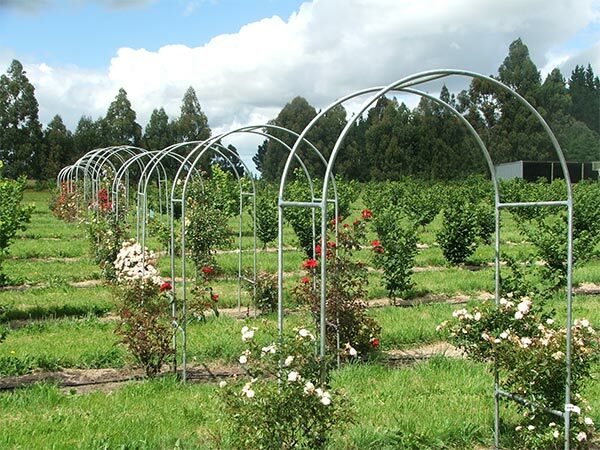 Slowly but surely my thirteen rose archways in the Hazelnut Orchard are being covered with healthy climbing roses. In their second summer I've had a few problems, but I am a patient gardener. A few of the roses have been misbehaving and have needed to be sprayed. 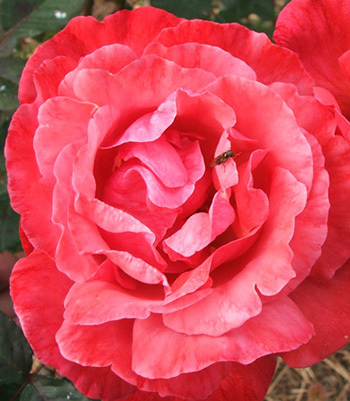 Some old-fashioned rose varieties are susceptible to diseases. Others haven't grown well, and I suspect that the rabbits have been digging around their roots, causing the plants to rock in the wind. And one rose, who shall remain nameless, is in total disgrace for having balled buds and being leafless. The roses include Meg, Sombrueil, Lady Hillingdon, Ueterson, Parkdirektor Riggers, Etoile de Hollande, Souvenir de la Malmaison, Gloire de Dijon, Phyllis Bide, Ghislaine de Feligonde, Madame Caroline Testout, Chevy Chase, Eastlea's Golden Rambler - it's so hard to remember them all! I'm looking forward to more flowers later this summer - then I'll prune and tie the canes in. The unknown rose on Archway Five came with the label Handel. It is definitely not Handel. Since I love his music, I've planted a real Handel next to him. Other unknowns were donated roses from a friend's winter garden clean-up. I think one is Bantry Bay, another is Westerland, and then there's a complete mystery rose. The fruity rose which looks like Abraham Darby - well, I guess it could be, though I have no record of planting it. It's growing well, getting taller and taller, and has beautiful flowers. Lady Hillingdon is hanging on to orchard life by a thread, so to speak. I have vigorous hopes for Bloomfield Courage, and, naturally, Sir Edmund Hillary. 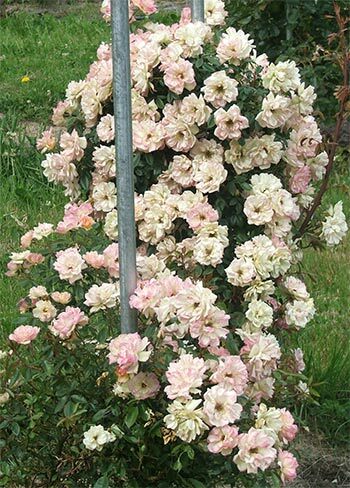 Smaller shrub roses like Bonica have been planted to cover up any rose with bare ankles. 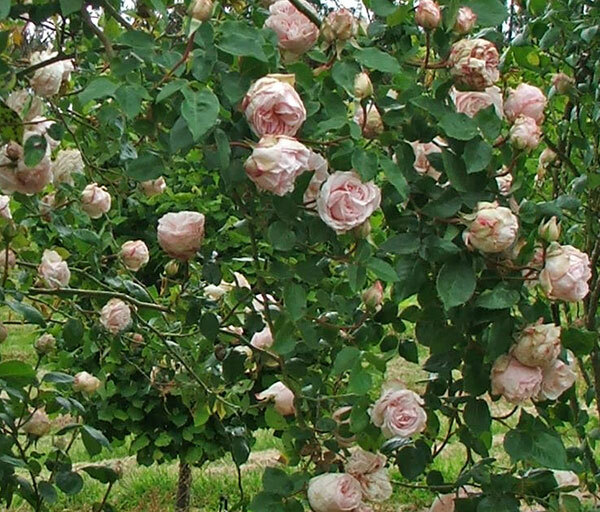 This rose season I've seen rust on Madame Caroline Testout and Etoile de Hollande. They've both been sprayed a few times. Can its rotting, balled flowers ever be forgiven? Is this rose suitable for an archway anyway? Anyway, I've pruned it severely, and planted two replacements at the back of its archway. So that's my rose archway update - for now!